Dogs make for wonderful pets. They provide protection, companionship and entertainment. But when “man’s best friend” attacks, serious injuries can occur. 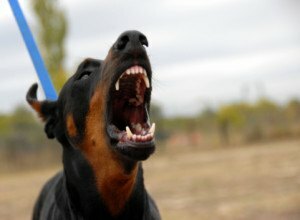 According to the Centers for Disease Control and Prevention, more than 4.7 million people are bitten by dogs every year and 800,000 of those victims seek medical attention. Sadly, the victims of serious dog bite injuries are often children. If you or a loved one has suffered harm under these circumstances, our Chicago dog bite lawyers are here to help. TO LEARN MORE ABOUT YOUR RIGHTS, CALL KURASCH & KLEIN AT 312-372-7250, OR SEND US AN EMAIL HERE. 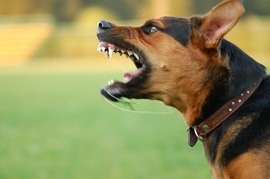 Dog owners are responsible for their dog’s behavior and any damage their dog may cause. That means that if a dog attacks on or off their owner’s property, victims may seek compensation for their injuries from the dog’s owner. Victims are most often able to receive compensation for medical bills, reconstructive surgery, rehabilitation, lost wages and pain and suffering. In some instances, punitive damages may be sought. Punitive damages are designed to punish negligent dog owners and prevent other owners from behaving in the same reckless manner. An experienced animal attack attorney should be able to tell you if you have a legitimate claim and help you pursue financial compensation for the damages you have sustained. Medical bills. Serious injury. Job loss. When you were bitten by a dog, the injuries that you sustained might have been severe. You might have lost function throughout the limb that the dog bit. Your situation is upsetting, and probably very painful. Dog bite injuries often leave scars—and not just the kind that you can see. Seeking information is an important first step to seeking justice for what happened to you. If you or a loved one has been seriously injured by a vicious dog, contact Kurasch & Klein. With over 33 years of experience representing personal injury victims, our attorneys know that it takes tough legal representation to get victims the justice they deserve. We know that dealing with medical bills and time missed from work can be overwhelming; that’s why we use our extensive experience and aggressive legal approach to fight for the maximum recovery possible for all of our clients. Kurasch & Klein fight to recover financial damages for seriously injured people in the Chicago area. In addition to dog bites, we also represent clients in all areas of personal injury law, including auto accidents, semi truck accidents, wrongful death, construction accidents, slip and fall accidents, product liability and nursing home accidents. To learn more about your rights, call Kurasch & Klein at 312-372-7250. Seeking victim information from your legal representative can help solidify your case against the dog owner. Proving negligence is the first step in your case. Contact Kurasch & Klein today to discuss your case. Being named “Super Lawyers” seven years in a row is not coincidence. Years of experience have taught the attorneys at Kurasch & Klein how to fight for justice in personal injury cases. When you have our firm on your side, you can be confident that you have a team dedicated to you and your case from start to finish.